The Wedding, The Setting & You! Congratulations! You have found your perfect partner! Why not celebrate your new beginnings at the perfect place? Host your dream wedding at The Edison Club! Luckily, you don't have to be a member to take advantage of the unbeatable service at The Edison Club in one of our Banquet Halls. Our personnel and facilities will exceed your expectations when it comes to creating that special look and feel you desire for that special day. Experience an elegant ambiance throughout a beautiful pastoral setting. Our knowledgeable staff will take care of your entire event, whether it's held in our Grand Ballroom or any of our other venues. 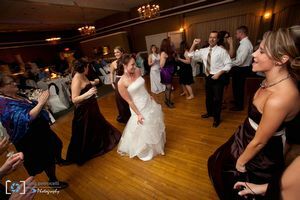 We house a variety of spaces to best suit the needs of your perfect wedding. We are able to accommodate up to 200 guests to join in your celebration of love. We care about the atmosphere you wish to create and will go to great lengths to help you achieve your vision. The Edison Club staff will help to carefully plan your wedding with the utmost concern for each and every detail. Whether you are seeking to elicit a classic wedding feel or perhaps something a bit more contemporary, we can certainly make it happen when it comes time to say "I Do"! Contact Paula VanBuren today at 518.399.2772 ext. 302 for an appointment.